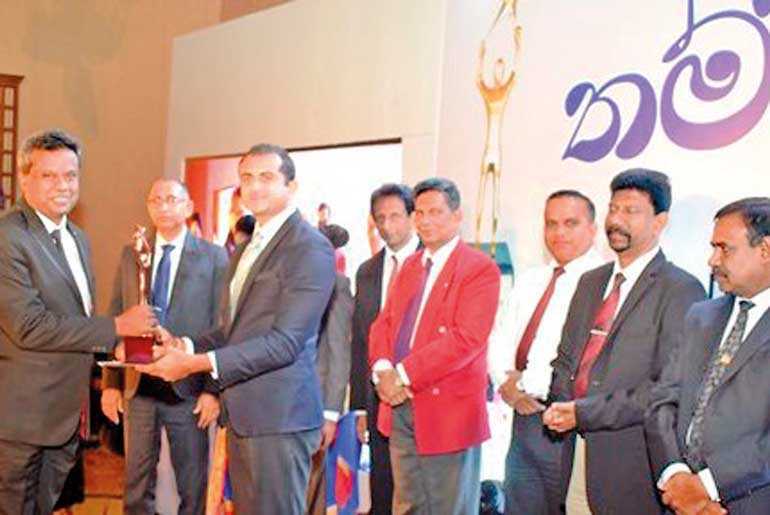 Supremo Tiles based in Lunuwila which has been in the business for more than three decades received two awards at the recently concluded Thambapanni Abhimani Business Excellence Awards organised by Puttalam District Chamber Of Commerce held at Suriya Resort in Waikkala. The two awards are Puttalam District Medium Category Gold Award and Gold Award in AGA Division of Wennappuwa. In a statement Supremo Tiles Chairman Nilantha Appuhami states that he is highly satisfied with these awards and considers as an encouragement for the future of his business career. Supremo Tile Factory uses the modern technology of both Japan and Italy for their manufacturing process. The advantageous of roofing tiles manufactured by Supremo are environmental friendly, able to adapt to any climate, strong and durable, from which the perfect finish can be obtained. He finally thanked the Puttalam District Chamber Of Commerce for their tiring effort of selecting the entrepreneurs of the district and rewards the same in this manner.